This year’s G20 summit is special for many reasons. It will be the first G20 summit to take place in China, the first G20 summit for Prime Minister Theresa May, and the last G20 summit for President Barack Obama. With so much going on, it’s perhaps hard to imagine that the twenty most powerful people in the world will be discussing warehouse racking inspections. And yet there’s strong evidence to suggest that’s exactly what’s going to happen. The UK can proudly state that it has a lower workplace fatality rate than any EU country. It can also state that it has been steadily decreasing workplace fatalities since 1997, though critics would rightly point out workplace fatality and injury rates have plateaued since the Conservatives took power in 2009. Voted in on a manifesto which openly admitted to cuts to public spending, the Conservative government have done just that with regards to HSE, which could in turn explain the plateauing of workplace fatalities and injuries. 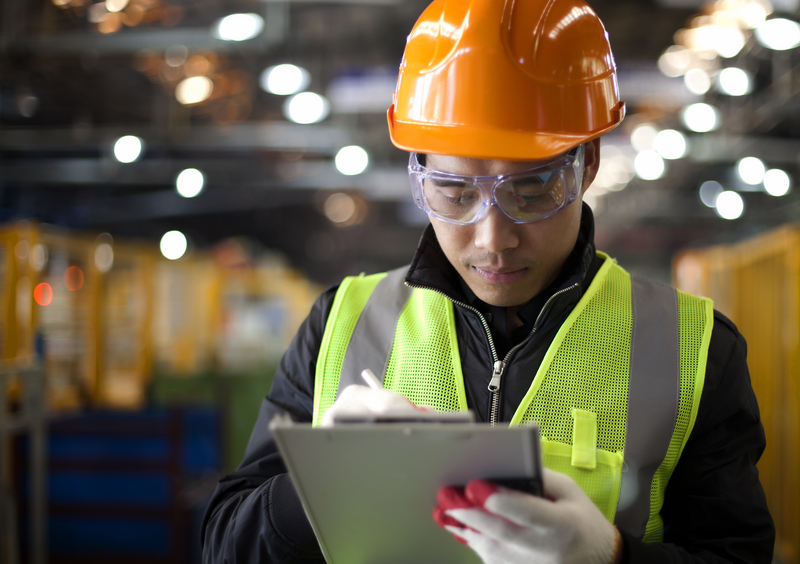 The UK’s enviable track record on supply chain safety can be explained by HSE’s rigorous attitude towards warehouse safety and warehouse racking inspections. Without an annual warehouse racking inspection from a SEMA approved racking inspector, as per HSE’s advice, it is very likely that the British supply chain would not be as safe as it is. All of this has a big impact on supply chain safety — an important part of trade — and will therefore be extremely relevant at the G20 when the new Prime Minister, Theresa May, begins trade talks with China and the US. With the UK leaving the EU, and with May herself outright stating that “Brexit means Brexit”, the UK will need to increase its trade relationships with its biggest importers outside the EU. Even the most ardent Brexit supporter will have to admit this will come with some challenges considering that, before the vote, seven of the ten biggest importers of British goods were all EU countries. Outside the EU, the UK’s biggest trade partners are the US, who make up 11% of all overseas British trade, and China who make up 5.7%. Eurosceptics have reason to believe that this figure is likely to increase due to something called the “Rotterdam effect”, where UK goods that are exported to EU countries are then exported again overseas. Outside the EU, Eurosceptics would argue that the UK can cut out the middle-man, so to speak. Moreover, British trade with the EU has been steadily decreasing since 2009, as British trade with the rest of the world has been increasing. If this trend continues, the UK’s position in global trade will become stronger, not weaker, as a result of Brexit. At the G20, the world will see whether or not this is the case. However, by the far the biggest issue with regards to the UK trading with China is not the UK’s attitude towards warehouse racking inspections and supply safety, but China’s. Last year, two deadly warehouse explosions in Tianjin killed 173 people and raised major concerns about the country’s warehouse safety standards and workplace safety standards in general. The tragedy would not be so bad were it a one off, but this is sadly not the case. Even China’s state-owned and heavily-censored newspaper, China Daily, admitted that workplace fatalities and accidents in 2015 were “too high”. With the death toll at 68,061 for the year 2015, “too high” might be something of an understatement. To put it another way: in the US, less than 13 people die in accidents at work everyday. In China, this figure is 186. Even when you account for the difference in the population of the US and the population of China, the workplace fatality rate in China is still four times higher than in the US. So should the UK seek to increase trade with a country where workplace fatalities are so high? One the one hand, the UK might want to steer clear of Chinese businesses. This is especially true considering the nuclear espionage charge hanging over the Chinese government-affiliated business with a one-third stake in building the controversial Hinkley Point nuclear power station. On the other hand, the UK should not be put off with trading with a government that represents a sixth of the world’s population. China doesn’t have the best record with regards to workplace safety, but things are improving and the government certainly seems committed to increasing safety in its supply chain. In fact, trading with the UK might well encourage China to change its approach to warehouse safety and warehouse racking inspections. After all, safe businesses make more money, and the Chinese government must be aware that making its businesses safer will be better for the country’s economy in the long term. Perhaps the G20 will inspire China to adopt the UK’s system of yearly warehouse racking inspections from a SEMA approved racking inspector. Whatever the result of the G20 summit, we at Storage Equipment Experts will play our role in the UK’s continued high-standards of workplace safety. We will do so by continuing to deliver the best warehouse racking inspections in the UK!